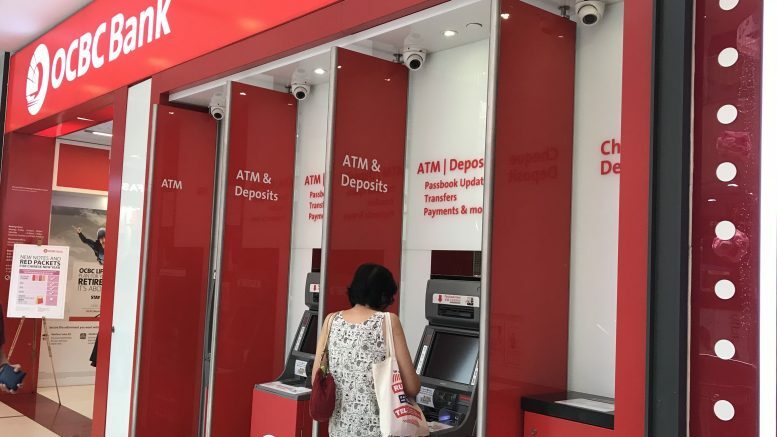 OCBC Bank reported its third quarter net profit rose 12 percent on-year to S$1.25 billion, beating some analysts’ forecasts, amid an increase in its net interest margin. Singapore Press Holdings said on Wednesday its wholly owned subsidiary, SPH Interactive (SPHI), entered an agreement to sell all of Shareinvestor.com Holdings and its intellectual property to Vibranium Capital for S$17 million, payable in tranches. The deal is expected to be completed on 13 November, it said, adding that Shareinvestor.com Holdings will cease to be a subsidiary of SPH. Ascott Residence Trust reported on Thursday that its gross profit for the third quarter rose 9 percent on-year to S$64.15 million on new acquisitions and on higher revenue from existing properties. But that missed an analyst forecast. Frasers Logistics & Industrial Trust said late on Wednesday that acquired a logistics property in the Netherlands from Frasers Property’s indirect wholly owned subsidiary, Frasers Property Investments (Europe) for 25.36 million euros, or around S$39.88 million. Sasseur REIT’s sponsor, Sasseur Cayman Holding, entered a memorandum of understanding with Meritz Securities (MS) to explore strategic collaboration in South Korea for the outlet mall business, it said in a filing to SGX on Wednesday. Ascendas Hospitality Trust reported on Wednesday that its fiscal second quarter fell 7.5 percent on-year to S$20.5 million on challenging market conditions for the Australia portfolio and a 7 percent depreciation in the Australian dollar against the Singapore dollar. ST Engineering said on Wednesday that its indirect subsidiary, SDG Kinetics (SDGK), will divest all of LeeBoy India Construction Equipment (LBI) in two tranches to Polyhose India for US$1.05 million, or around S$1.44 million. The first tranche of 73 percent of LBI closed on Wednesday and the balance stake will be transferred on receipt of relevant regulatory filings, it said in a filing to SGX after the market close on Wednesday. As part of the deal, ST Engineering Land System, via SDGK, injected capital of 344 million Indian rupees, or around S$6.5 million, to enable LBI to discharge bank loans of the same amount, it said. Soilbuild Construction Group said on Wednesday that it obtained a S$125.0 million contract from Singapore’s Housing & Development Board (HDB) for building works at Yishun Neighbourhood 4 Contract 18. “The contract comprises the construction of seven blocks of residential buildings with multi-storey car park, commercial/community facilities, precinct pavilions and electrical substation. The construction period is approximately 31 months,” it said in a filing to SGX after the market close on Wednesday. The contract wasn’t expected to have a material impat on earnings per share for the current financial year, it said. Ascendas Hospitality Trust’s manager, Ascendas Hospitality Trust Fund Management, said on Wednesday that Lim San San Susanna will cease to be chief financial officer of the trust to take up another executive position within Ascendas-Singbridge Group. Lim had been CFO of the trust since its initial public offering in July 2012, it said in a filing to SGX after the market close on Wednesday. Woo Yeng Yeng, age 42, was appointed CFO in Lim’s place, it said in a separate filing; Woo joined Ascendas-Singbridge in 2015 and she was CFO of Singbridge Pte. and its subsidiaries until May and is currently vice president of corporate finance at Ascendas-Singbridge, it said. Ascendas Hospitality Trust is sponsored by Ascendas Land International, a wholly owned subsidiary of Ascendas Pte., which is a subsidiary of Ascendas-Singbridge Group, which is jointly owned by Temasek Holdings and JTC Corp.
Suntec REIT’s manager, ARA Trust Management (Suntec), said on Wednesday that Chan Kong Leong, age 46, has resigned as CEO and executive director of the manager, effective 31 December. “Under his leadership, Kong Leong had significantly strengthened the performance of both the retail and office business and I wish him success in his future endeavours,” John Lim, ARA Group CEO and non-executive director of the manager, said in the filing to SGX after the market close on Wednesday. It tapped Chong Kee Hiong, age 52, as CEO and executive director, effective 1 January 2019, it said, noting Chong’s previous position was CEO at OUE Hospitality REIT Management from June 2013 to July 2018. Roxy-Pacific Holdings reported on Wednesday that third quarter net profit attributable to equity holders jumped 175 percent on-year to S$4.38 million despite lower revenue amid a higher gross profit margin. Addvalue Technologies said on Wednesday that it would issue 100 million new shares in a proposed placement to 10 subscribers at S$0.025 each to raise around S$2.5 million. The placement price was the volume weighted average price for trades on the last 1.3 sessions before the shares were halted mid-session on Tuesday, it said. On Thursday, it requested the trade halt be lifted. Addvalue said the proceeds would be used to strengthen its balance sheet and meet its funding and working capital requirements; it said 60 percent of the proceeds would be used to redeem its S$1.5 million bond, with the remainder for working capital, including funding its space capabilities development program. Parkson Retail Asia reported on Wednesday that its fiscal first quarter loss attributable to the owners of the company was S$11.13 million, narrower than a loss of S$13.27 million in the year-ago period. Revenue rose 1.7 percent on-year to S$92.61 million in the quarter ended 30 September, it said. Malaysian operations benefited from a “spending spree” during the country’s tax holiday from 1 June to 31 August, but Vietnam operations posted a decline in same-store sales as the country’s retail sector became “increasingly saturated” with the launch of a Ho Chi Minh City mall, it said. Baker Technology said on Wednesday that Jeanette Chang, age 42, its executive director, will be appointed CEO, effective 1 January 2019, succeeding Benety Chang, who has held the position since 2000. Chang, age 71, will step down as CEO on 31 December, but he will remain an executive director, it said. Chang assumed the role of CEO of Baker Technology’s subsidiary, CH Offshore, effective 1 September, it said. Tiong Seng Holdings said on Wednesday that it completed the acquisition of the Cairnhill Heights property at 16 Cairnhill Rise in Singapore; the company plans to redevelop the property.